Your clients’ expectations and attitudes towards life insurance are rapidly evolving, although it is clear consumers still lack an overall understanding of who should own life insurance, how to apply for life insurance, and the costs of life insurance. 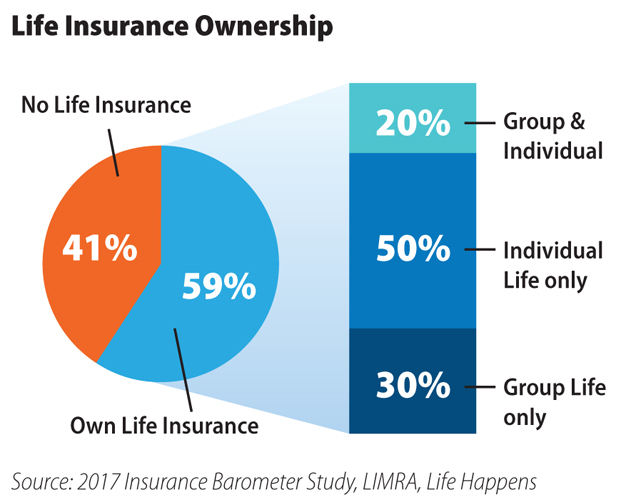 Collaboratively, LIMRA and Life Happens recently released the 2017 Insurance Barometer Study. Now in its seventh year, the Insurance Barometer Study, which surveyed 2,031 adults ages 18-75 in the U.S., tracks the financial concerns, perceptions, and behaviors of consumers, emphasizing life insurance. While 85% of respondents said that generally speaking, people need life insurance, only 59% said that they have life insurance. And of the 59% that do have some sort of life insurance, 30% said that they only had group coverage offered by an employer. Having children remained the most obvious signal for more life insurance, but what was interesting was the coverage gap in relation to marital status of those with children. Only 60% of respondents said that a single person with children needs coverage compared to 80% of respondents who said a married person needs coverage. Nearly 40% of respondents said they wish their spouse or partner had more life insurance coverage. Insufficient coverage could have disastrous consequences for countless families. More than half of respondents said they would feel the financial impact from the loss of a primary wage earner within just six months and more than a third said they would feel the impact within a month or less. The number one reason cited by consumers for not purchasing life insurance is cost: 66% of respondents said that they think life insurance is too expensive. A common misconception, consumers overestimate the price of life insurance. 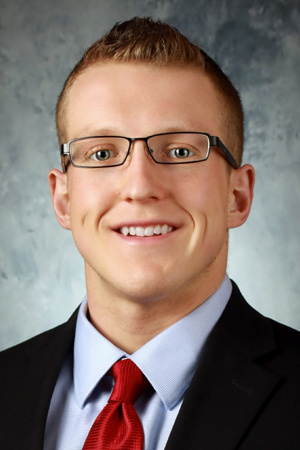 The study asked how much a $250,000 term policy would be for a healthy 30-year-old male, and the median estimate was $500 a year, more than three times the actual cost! The biggest takeaway from the Insurance Barometer Study is that the life insurance process needs to be easier for the client. A staggering 83% of respondents stated that the most important factor when purchasing life insurance was that it was “easy to understand”. As technology shapes the expectations of today’s consumers, there is an increased desire to purchase financial products like life insurance online, so much so that online sales of life insurance have tripled since 2011. 70% of respondents said they would consider purchasing life insurance that did not involve a physical exam. Those interested in purchasing life insurance through simplified underwriting are drawn to the speed and ease that this process offers. For more information on the Insurance Barometer Study, coverage gaps, or trends in the industry, please give me a call at 800.321.3924 x133. [1-6] Finnie, Lauren, Maggie Leys, James Scanlon. “2017 Insurance Barometer Study” LIMRA, Life Happens. 2017. Web. Accessed via member login on 20 May 2017.